Let’s take a hypothetical situation. Let’s say you own a rental house, small apartment building or other investment property, and you’re interested in selling it. Specifically, you’re interested in conducting a 1031 Exchange into another asset. However, after chatting with your financial advisor and/or business manager, and/or accountant, you learn that you might not qualify for financing on a replacement property. 1) Keeping a property you don’t want, one that might not be providing you with a decent rate of return. 2) Selling the property without rolling over the proceeds, and taking the capital gains hit. 3) Rolling over the proceeds of that property’s sale into a Delaware Statutory Trust (DST). Before considering the DST solution, let’s first examine some reasons why loan qualification might be difficult. Overall, though we’re nearly a decade away from the start of the Great Recession, underwriting standards for loans and mortgages remain strict, even for individuals with full-time jobs, plenty of income and just enough debt (but not too much) to show a decent credit rating. And, you might not be that individual with a full-time job. 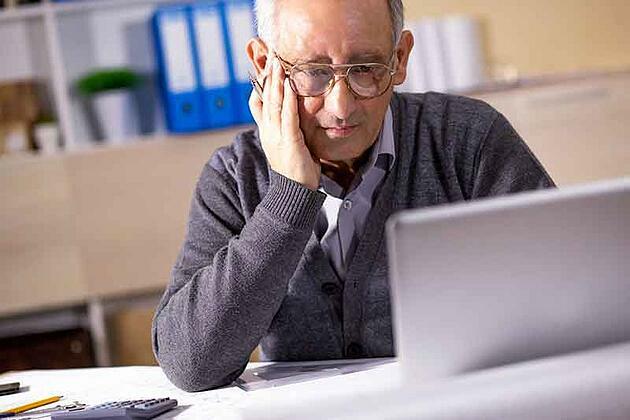 Maybe you’re retired; while you are receiving enough money for a decent quality of life, you might not have enough active income to qualify for a loan on a new investment property. On the other hand, perhaps you quit that nine-to-five job to be your own boss. Though working for yourself is proving to be a good move, your lender might tell you that you aren’t generating enough consistent income to make him or her feel comfortable about granting you a loan. Or, maybe neither of the above applies to you. You simply might not want to deal with the hassle of applying and getting approved for a loan, or even dealing with finding suitable properties for your 1031 exchange. Because, let’s face it. That exchange is a race against the calendar. You have 45 days from the time you sell your property to identify potential replacement properties and a total of 180 days find properties, get them under contract, something similar, perform your due diligence and – hopefully – get some kind of mortgage in place. Right now, with the market for certain types of properties heating up (such as Class B apartments and industrial product), you might struggle to find that like-kind asset. By day 46, you could end up with little for your trouble except a looming capital gains tax hit. In previous articles, we’ve noted that the Delaware Statutory Trust (DST) is a good option to consider for investors who are tired of dealing with toilets and trash. By rolling over your funds into a DST, you receive an income stream from a property, while the trust’s sponsor takes on the responsibility of management and operations of commercial real estate ownership. The DST also is a good tool to consider if you’re facing issues when it comes to finding – and financing – a replacement property. In most cases, the Delaware Statutory Trust comes with financing already in place. This is because the underwriting, and scrutiny is focused on the property itself and the trust’s sponsor. Not you, as the investor. As a DST investor, you’ll be assuming a proportionate share of the property’s debt. In other words, if you buy a 2% equity in a Delaware Statutory Trust, you’ll be allocated 2% of the debt. However, that non-recourse loan won’t show up on your credit report. Remember – the financing is in the sponsor’s name. Not yours. Furthermore, that debt could satisfy the debt component of your 1031 Exchange requirement. Can the DST Be Your Ideal Investment? As with any investment vehicle, you should talk to a trained professional to determine if something like this is right for you. At Realized 1031, we’re happy to talk with you to determine your next best course of action.